My parents are conservative, no nonsense people who never encouraged me to take art seriously as they regard it as impractical and self indulgent. As a result, I can't paint or draw my way out of a paper bag. 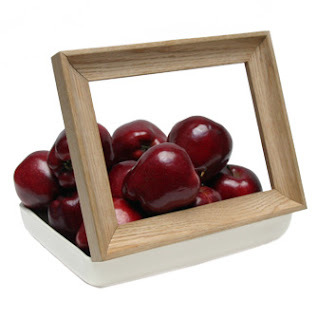 But with the Still Life Fruit Bowl from Show, I can create a masterpiece every time I come home from the supermarket. I still can't draw, but at least I can artfully arrange things.